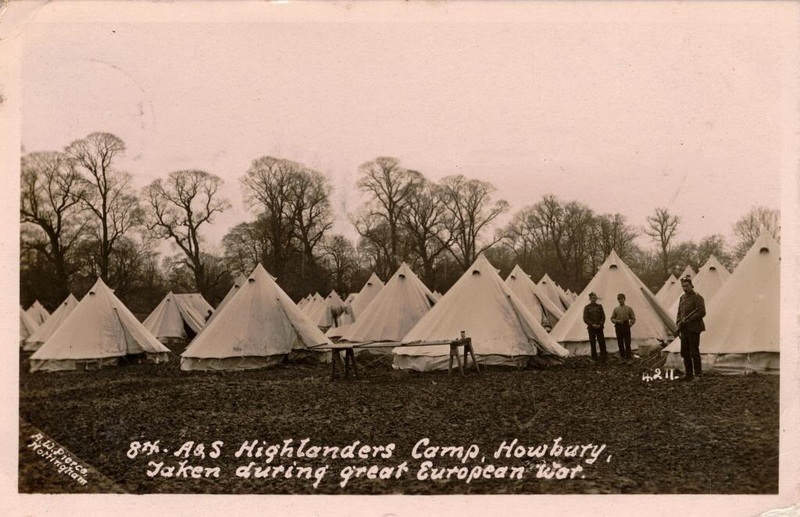 As well as a military camp, Howbury Hall was also home to a VAD (Voluntary Aid Detachment) hospital. 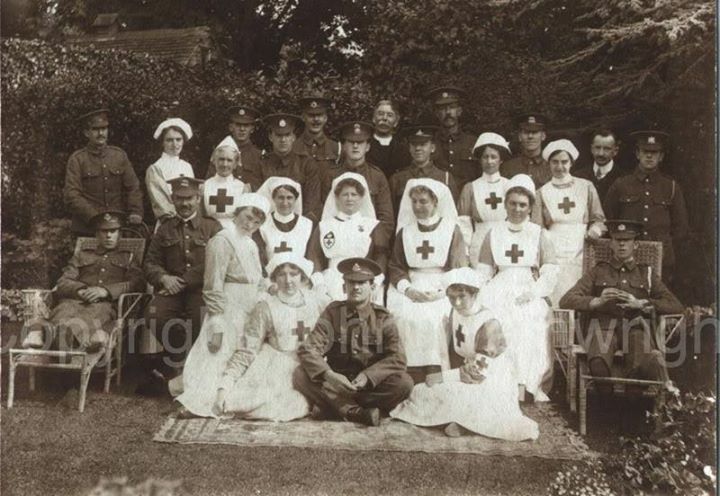 Soon after war was declared, Mr Cecil Polhill generously offered the use of Howbury Hall to the Red Cross Society as a Relief Hospital and the offer was accepted in August 1915. 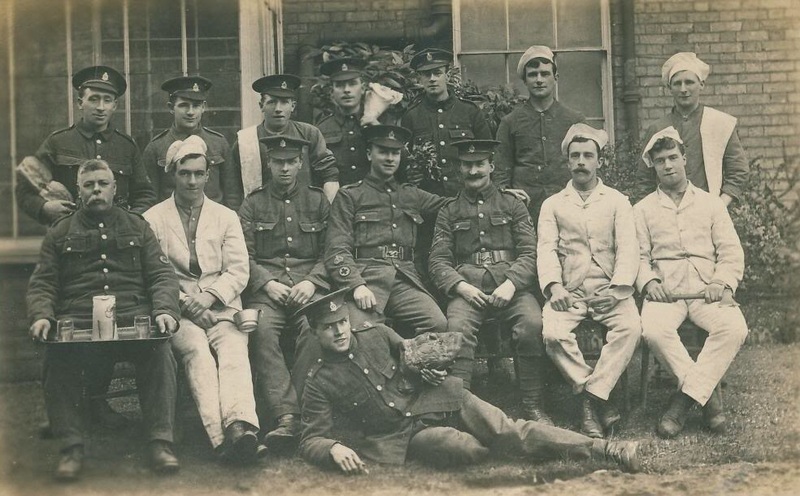 By Monday, 18 October 1915 when the Monmouths Regimental Band gave a concert in the grounds at Howbury Hall, the hospital was reported in the Bedfordshire Times and Independent of 22 October as being in full working order. Mrs Deane, of Goldington Bury, was the Commandant and members of the VAD were working under the supervision of a Trained Sister. The paper noted that no less than twenty Regiments were represented in the hospital, including some of the Bedfords. There were several leg cases, and the authorities would be grateful if ladies and gentlemen would send carriage to take the wounded out on fine days, as it was impossible for them to walk far. A bath chair would also be most acceptable so that the men could get about the grounds. Visiting days were Thursdays and Sundays. 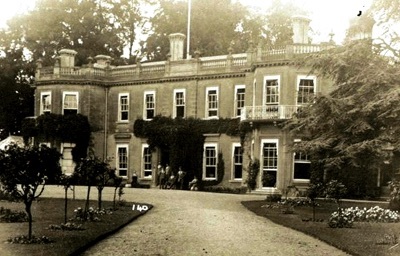 The photograph above was included in the article about Howbury Hall in the Bedfordshire Times and Independent of 19 November 1915. 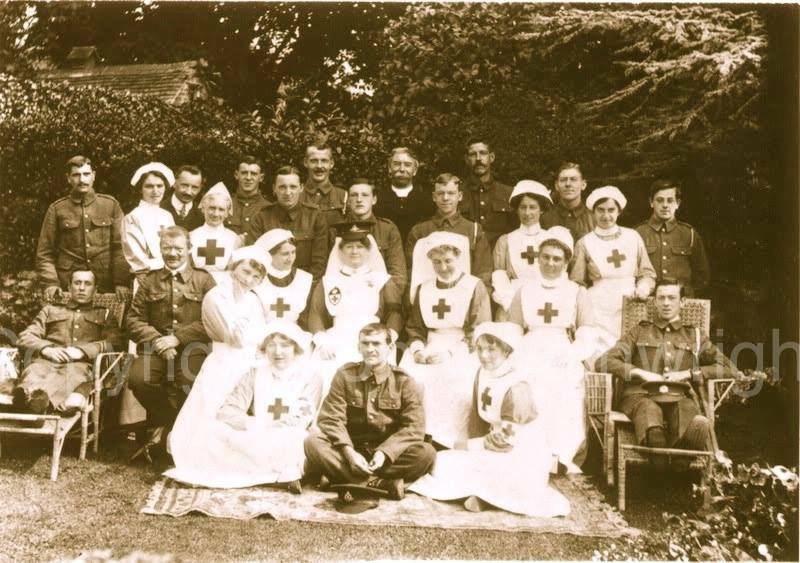 It shows a group of wounded soldiers and nurses in residence at the beginning of November. 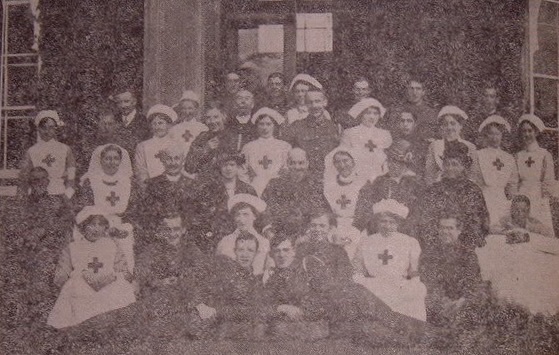 The photograph was taken, the paper reported, on the occasion of a visit by the Squire, seated in the centre of the group, his eldest daughter, Miss K Polhill, and his brother, the Reverend A Polhill, seated on his right, and Mrs Deane (Commandant of the Hospital), Mrs A Polhill and Mrs Challis on his left. Mr W Glasby (Howbury Estate Steward) and the Reverend E E Nickisson are standing at the back of the group. Among the wounded men who had especially distinguished themselves, said the paper, were Sergeant T Smith of the Loyal North Lancs (seated in armchair) who had recently been the recipient of a handsome presentation watch from Colonel and Mrs Garrod to commemorate his gallant act at the battle of Rue-de-bois in carrying the late Lieutenant Garrod, when wounded, out of the firing line to a place of safety; and Corporal T D Sinclair of the Royal Engineers (standing behind Mr Polhill) who had received the DCM for gallantry at the battle of the Aisne. Needless to say, the paper continued, the wounded, thanks to the Squire’s generosity, had everything they could desire to make them happy and comfortable, while the Sisters and Nurses under the direction of Mrs Deane, all of whom had given their services voluntarily, were devoted in their attention to their charges. The men were under the care of Dr R Coates, of Great Barford, who had readily volunteered his services when Howbury was opened for the reception of the wounded. The Reverend A and Mrs Polhill and Miss K Polhill were about to leave England for Mission work in China, where the Reverend Polhill had laboured for over 30 years in connection with the China Inland Mission. An old Renhold resident described to John Wainwright (Bedfordshire at War) talking over a gate to the soldiers camped at Howbury Hall. 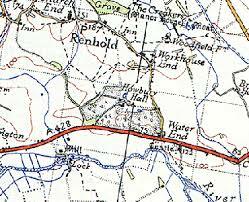 He told John how the soldiers visited the local public house and afterwards, on their way back to camp, would leave their glasses through the village to be collected the next day by the landlord using his wheelbarrow.